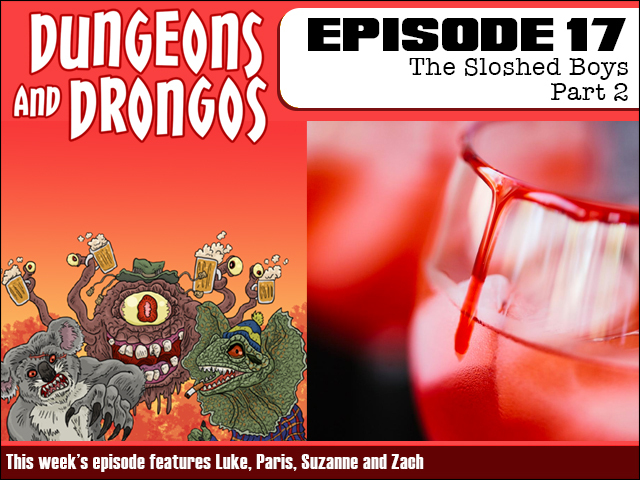 Fruitless Pursuits: Dungeons and Drongos Episode 17: The Sloshed Boys Part 2! Dungeons and Drongos Episode 17: The Sloshed Boys Part 2! In part 2 of The Sloshed Boys our party have finally figured out that they have been the victims of booze-sucking Drunkulas, and if they don't kill the head Drunkula then manager Wenzo could be a sleazy boozehound forever! But who to kill?! It's Dungeons and Dragons set in Fantasy Australia! Strewth! FPcast for December 4 2017 The Disaster Artist!